Justin Timberlake Net Worth - How Rich Is He? Justin Timberlake Net Worth – How Rich Is Justin Timberlake? 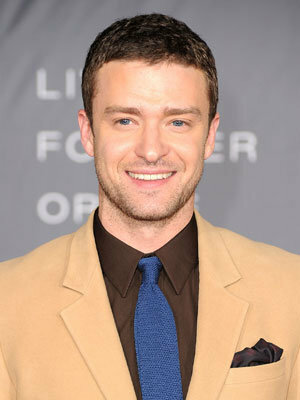 Justin Timberlake net worth is estimated to be $175 million. The Tennessee born artist has been able to gather quite a sum of money since he started his career as a singer. Besides, his mellow voice which he has used to his benefit in the music industry, he is also an actor, producer and song writer. These are pointers to show you; just how much the singer is worth. This is enough incentive to drive you into knowing his net worth. But where do you start? To know the wealth if Justin Timberlake, it is important to trace his path to affluence. Justin Timberlake was born in 1981 in Tennessee and raised there. His first breakthrough was when he contested in a talent show, which was geared to find some young people, who could appear on the screen. This was back in 1991, precisely when he was 10 years. After the talent search show, he was appointed to be a part of the cast of season 6 of The Mickey Mouse Club, just after it had been revived. The show did not last long and was cancelled a year later. Justin Timberlake’s talent was not to go to waste. On the contrary, him and JC Chasez, were recruited into the boys’ band ‘N Sync, as lead singers. Although, they only managed to release three albums, all the albums, got certified as multi-platinum, by RIAA. They also released many top singles including “It’s Gonna Be Me” that topped the Billboard Hot 100 and “Bye Bye Bye”. On the other hand, “No Strings Attached” was titled the album of the 2000s by the Billboard. After the boys’ band broke down in 2002, Justin Timberlake did not give up. Instead he came up with a debut album “Justified”, which earned him two Grammy awards. This really boosted his net worth. His second album, did not do badly either. It was top on the Billboard 200 upon its release and sold like hot cake worldwide. Precisely, it sold about 9 million copies and made him the proud winner of the American Music Award for Favorite R&B/Soul Album. Apart from his music successes, he also ventured into acting. He acted as a supporting actor in Black Snake Moan, Shrek the Third, Social Network, Southland Tales and many more. Besides, he has done a number of collaboration videos with the likes of 50 Cent, Madonna and Duran Duran. He has invested in the world of business, where he owns William Rast Clothing line, a series of partnership restaurants and 901 Tequila. In 2012, he invested heavily in Myspace.com and he is said to have earned about $60 million in 2013 per se. His net worth therefore may be bigger, than what the analysts have been able to gather. His investment in the social network is worth millions of dollars, which brings him returns every other day. He is also reported to contribute to philanthropic activities. He likes to use his money in funding charity courses such as his immense contribution to the hospital of children. He has also given the Memphis Music Foundation, to help young artists to get where he is today. Despite his charity contributions, he does not forget to dress elegantly and he also has a collection of classy cars. He has also had a private life though not very pleasing. In the better part of his life, he has seemed not lucky with the ladies, even with his glorious looks. Nevertheless, his relationship with Jessica Biel did bear fruit and they are now married. Justin Timberlake wife was married in a flashy Italian style wedding. You may be wondering, what are all about Justin Timberlake tattoos. Actually, he has 6 of them and each has a meaning. For instance, ,the pronounced tattoo , which carries the words “Guardian angel” and also has his mothers initials, is a dedication to his half sister, who died after birth. Around his chin, he has something that looks like a band. You already feel like getting one of these tattoos, but it is best to be warned that they will cost you quite an amount. Justin Timberlake net worth is not static but it is bound to rise up especially after he invested in Myspace.com. Furthermore, his songs are still selling.